One of the reasons why I am diligently writing about Superwoman (more than any other posts!) each month, is because it is such a relief to know someone else that has been through this solo wandering as I am. Yes, it makes me feel like I am not alone! And this girl, Zulfa reached out to me once she has seen Misha Johanna, the Superwoman of August post, and of course I took this chance to get to know her! Although we haven’t met when I went to Bali (pretty sure will see you soon! 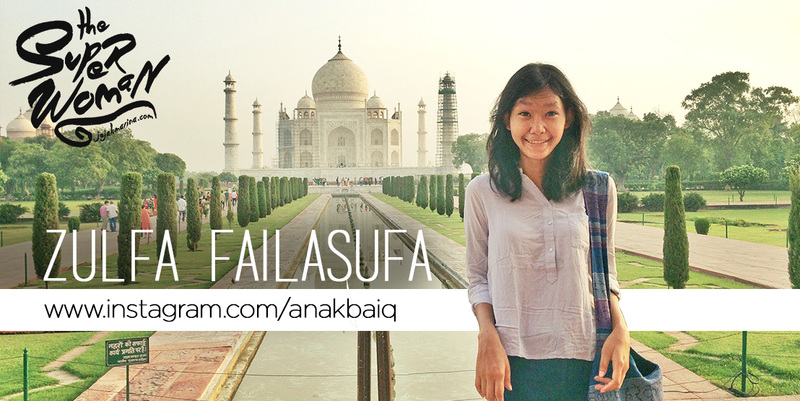 ), I am so glad to feature her for Superwoman on October, introducing Zulfa Failasufa! Well, basically travelling is my hobby and I like to learn other cultures. I always have dream to visit Europe and when I was visiting Jogja in 2009 to do a research for my bachelor thesis, I bought this book “Keliling Eropa 6 Bulan Hanya 1,000 dollar!” by Marina Silvia K. From that book I knew about Hospitality Club, Couchsurfing and other exchange cultural websites that help travelers live like locals. I then joined that website and began to host travellers at my parents’ home in Jakarta. One of the travellers that I host was a French guy. When we met in 2013, he was on his round the world trip and had been on the road for more than 3 years. He finally finished his trip in 2014 after travelling for 4 years and visited 53 countries. I began to wonder how people could travel for such long period. Long story short, his travel stories inspired me to do the solo travelling. The first time I travelled alone was in 2011 when I visited Kuala Lumpur. However, it was a short visit only 3 days. My real first solo travelling was at the end of 2013. After collecting enough information and money, I finally ventured to quit my job and did solo travelling in Southeast Asia for 3 months. At first, I wanted to go to Europe but I didn’t have enough money, so that’s why I chose Southeast Asia. My first stop was Hanoi and I used Couchsurfing here. 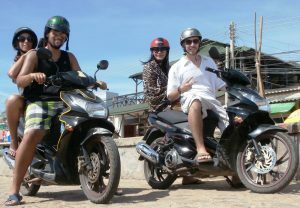 When I went to Ha-Long Bay, I met a Spanish couple. We had the same travel route which is going from north to south of Vietnam. So I asked if I could join them and they said okay. So from there, we travelled together for almost 1 month. From Vietnam, I crossed the land border to Cambodia, went to Phnom Penh and Siem Reap to see the Angkor Wat. From Siem Reap, I took a bus to Bangkok – Thailand and continued until Chiang Mai to see the Loy Krathong (Lantern Festival). 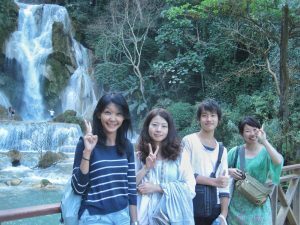 From Chiang Mai, I took a slow boat to Luang Prabang. It was quite an experience as the boat journey took 2 days to arrive. After Luang Prabang, I went to Vang Vieng and Vientienne and then took a train to Bangkok. I was staying in Kanchanaburi for a week or so as it’s cheaper than to stay in Bangkok. From Bangkok, I flew to Singapore and then heading back home to Indonesia. Recently, I did my second solo travelling at the end of 2016 for 4 months and finally, this time I visited Europe =), a dream comes true! I don’t see this as a love or hate things but sometimes you prefer one thing than another. By travelling solo, you will meet amazing people. 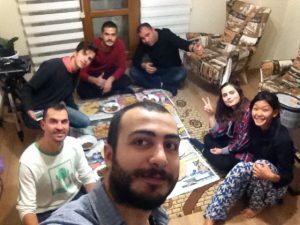 While you’re on your own on the road, you’re much more eager to meet travel buddies, team up with other travellers and generally reach out more in order to socialize. Naturally, I’m shy and travelling solo has expanded my comfort zone, which is a good thing I guess. Traveling solo gives you more freedom to follow your rhythm and desires. It also challenges your fears and insecurities. I was terrified of the unknown, but if I would have surrendered to that fear, I would have never got to know the strong, courageous and adventurous side of me. Explore parts of your personality that you are not very comfortable or familiar with and embrace the brand new you. Although, I have to warn you that travelling solo could make you feel lonely. I remember there was a time when I was crying a lot because of this solitary moment. This experience has given me a lesson on how to have peace and nurture a good relationship with myself. Everyone. From books, movies, fellow travellers stories. As a Muslim, I know Hijra, which means to migrate, travel. This migration story of Prophet Muhammad from Mecca to Medina to start a new life inspired me to travel as an essential way to seek knowledge, to respect difference and empathize with other cultures. I see travel as a monumental spiritual journey that transformed the character and strengthened my inner resolve. Google Maps offline (as I rarely have connection when I travel, so it’s good to download the offline version), Google Translate offline (pending on which countries you are going to visit, it’s always good to have some basic skill of local language), XE currency (to know how much the price is in rupiah, haha), Skyscanner definitely, Couchsurfing to save your budget and to have cultural exchanges at the same time, Workaway if you want to volunteer while travel and TripAdvisor to know what is around you. Well, this is hard, as every country is unique and has its own beauty. I like Spain, Morocco, India and Turkey. These countries are rich in diversity and culture. The nature is so beautiful, the people are amazing, and the food, oh… you have to try it yourself, it’s mouth-watering! 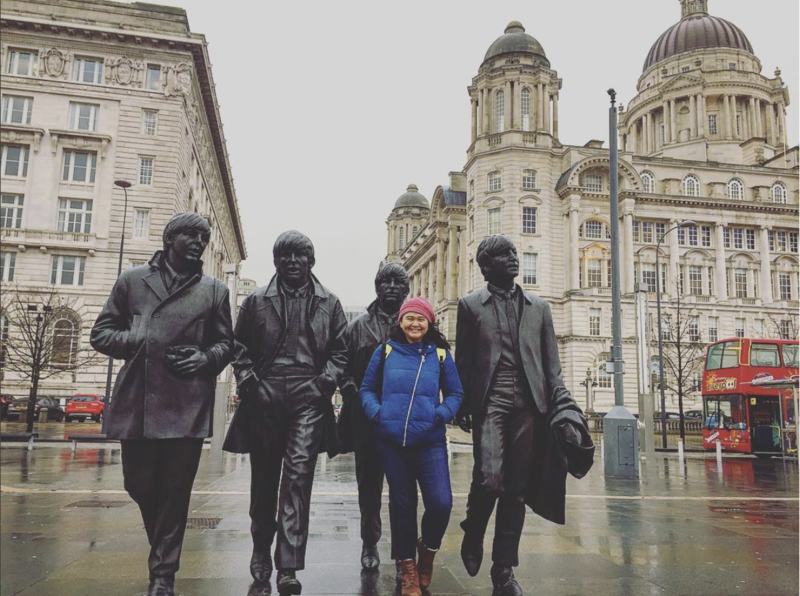 I guess female solo traveller could go any countries they want. Mobile phone, laptop, travel adaptor, sweater, mukenah, supplement omega 3 and vitamins, personal care products, and last but not least, “Tolak Angin”! It’s my saviour when I feel tired or less stamina. 8. Everyone has their quirky thing when they travel. I love doing temple hunting and visiting museums. So what’s yours? I love seeing nature, watching people, learning local’s daily life, trying to blend with the local’s cultures and just be. Just go. Travel not to go anywhere, but to go. Travel for travel’s sake. The great affair is to move. Safety can be a great comfort, but common sense is the key. Read and research before you travel. Put some flexibility into your schedule and go with the flow. Plan one or two activities and let the rest of the day happen. Pack light. Respect the local culture. 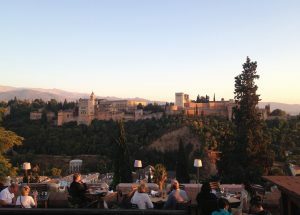 From my solo travelling experiences, I have received many kindnesses from strangers and you will be amazed by how many good people are out there. So take a deep breath, relax and enjoy! “In life, it’s not where you go – it’s who you travel with” ~ Charles Schultz. “Wherever you go, east, west, north or south, think of it as a journey into yourself. The one who travels into itself travels the world” ~ Shams Tabrizi. “We are travellers on a cosmic journey, stardust swirling and dancing in eddies and whirlpools in infinity. Life is eternal. We have stopped for a moment to encounter each other, to meet, to love, to share. This is a precious moment. It is a little parenthesis in eternity.” ~ Paulo Coelho. Zulfa was born in South Tangerang, Banten and travelling have been heavily involved in her life. She spent her high school in Jakarta, studied university in Bandung, worked a few years in Dubai and currently is residing in Bali. She has a high dose of curiosity in her life. She likes to learn a lot of things, experience something new, explore new places and meet new people. She considers herself as a lifelong learner and the universe is her school. She prefers to collect experiences than material things. Travel for her is a part of the soul’s training. She tries to be open-minded and to respect other people as much as she can. She has travelled to 20 countries so far and is looking forward to ticking off more countries on her bucket list. She feels very grateful because her parents give her the freedom and trust to do what she wants. 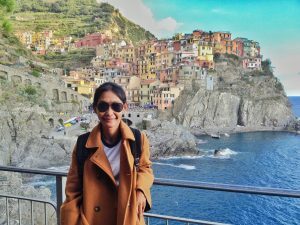 She hopes this article will inspire many Indonesia women to try solo travel at least one time in their life. Zulfaaaaaaa … haha haven’t seen her for ages but so good to finally see her and read her journey here.